Touch is the first sense to develop in humans. It is essential to our health and well-being. 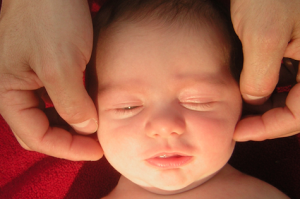 Babies have been known to thrive with an adequate amount of touch and fail to thrive without this touch. Children who learn healthy views of touch and are provided with positive tactile experience by their caregivers are more likely to grow up to be adults with healthy self-esteem, a sense of appropriate boundaries and long-lasting intimate relationships.